Sleep inducing, sleep tracking 2breathe the new smart device by the creators of RESPeRATE. 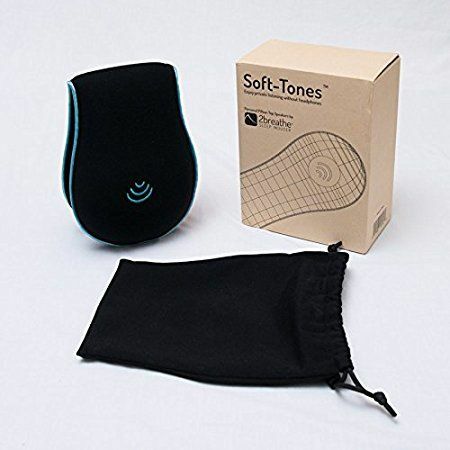 Smart technology and ancient wisdom comes together to bring you a sleep inducing device using breathing techniques. Wearing a comfortable sensor the 2breathe picks up the user's inhale and exhale movements sending it to an iOS app via low energy Bluetooth. The app transforms, in real time, the breathing into tones that gradually guide the user to prolonged exhalation and slow breathing. Within minutes, neural sympathetic activity is reduced, the user begins to disassociate from both external and internal stimuli, and the mind and body relax into sleep. Once sleep is detected, 2breathe automatically shuts off and generates a report showing the falling asleep process breath-by-breath. 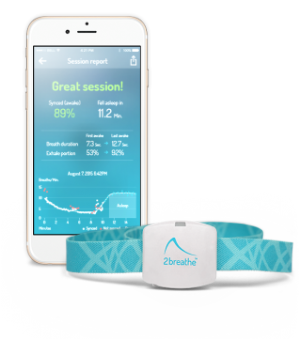 2breathe™, adopts RESPeRATE guided-breathing technology for individuals who have difficulties falling asleep.